Titan Poker offers its new depositing players a 100% First Deposit Bonus up to an incredible $500. For every hand players play at Titan Poker, and which generates rake, they earn Stars  Titan Poker's unique player points. It doesn't matter whether the player has placed a bet or folded, they still earn Stars and will be on their way to earning the 100% First Deposit Bonus. Players receive bonuses based on the Stars they've earned. As a player keeps playing, additional payments will be made until a matching 100% First Deposit Bonus is paid, up to $500. Players are drawn to Titan Poker's popular daily, weekly and monthly huge cash tournaments, and to Titan Poker's special jackpot sit 'n' go tournaments with progressive prizes and jackpots as high as $100,000. 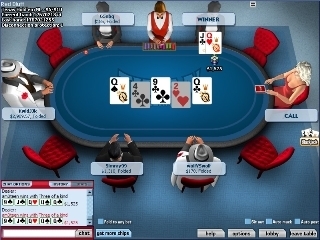 Players can also win huge, progressive Jackpot Tournaments at Titan Poker. A prize of $15,000 is guaranteed to any player who wins 5 consecutive 10-player Maui sit 'n' go tournaments at an amazingly low buy-in price of $5+$0.75. And $25,000 is guaranteed to any player who wins 6 consecutive 6-player Rio sit 'n' go tournaments. If no one wins these jackpot prizes, they get progressively bigger from week to week! Titan Poker stages weekly $8000 Freeroll Tournaments for all depositors. These are thrilling events that will appeal to all players. 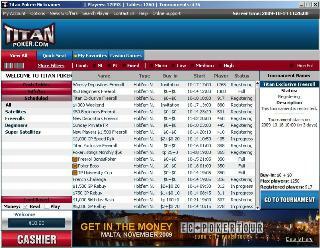 So sign up and deposit at Titan poker now for the best online poker experience.